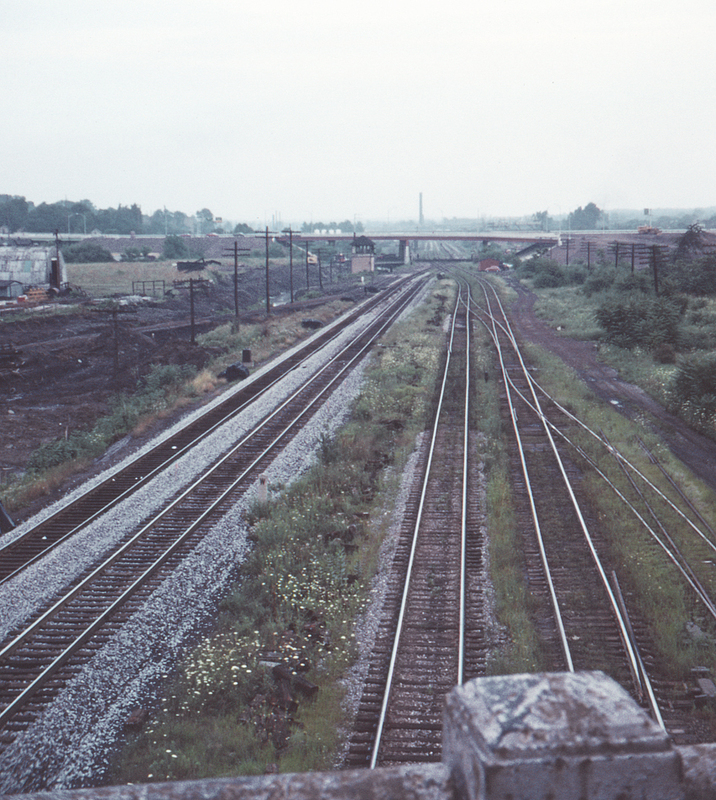 A relatively uncluttered view of the Valley Street (VY) interlocking, with the Erie on the left and the New York Central on the right. Note that the Central's tracks were protected with derails. This view is looking north from Youngstown's Oak Street bridge.